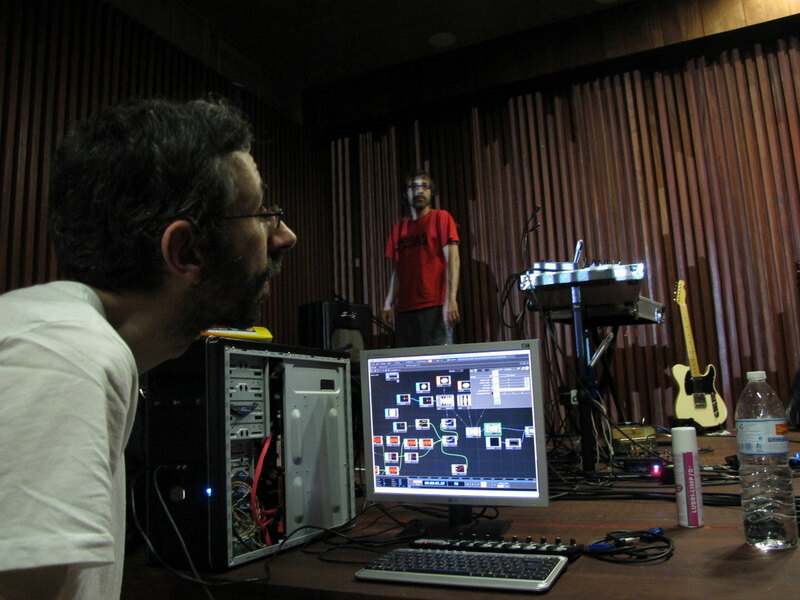 Last weekend we were recording the Rafael Pinillos' video-concert at La Escuela de Música de Santa Cruz de Tenerife. The recording of this sessions will be included in the "error!" video CD which will be published on may. Dea-Won Kang; artistic director. Recording, edition and video montage. Naira Expósito; video recording. Support. Jaime H. Linares; audio recording and edition. Alejandro Delgado; stage lighting and imaging. 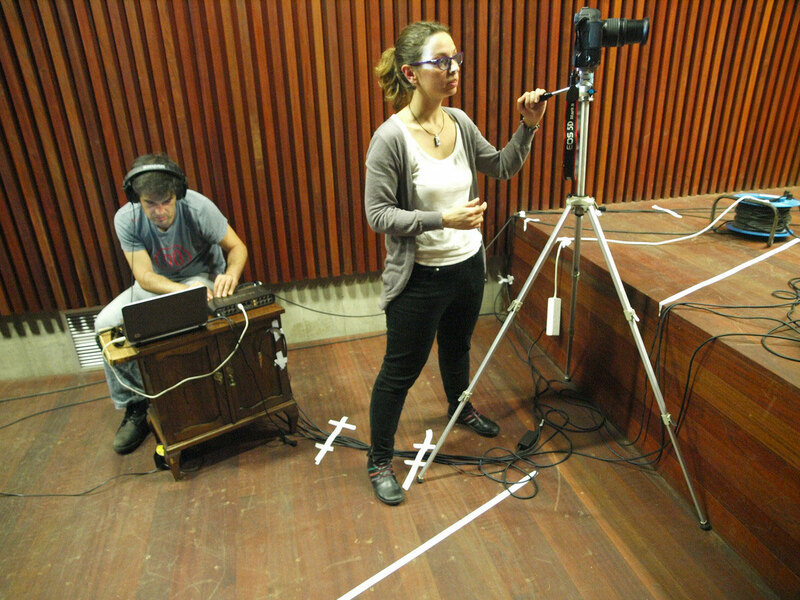 David `Perreko'; photography, video recording and stage lighting assistant. 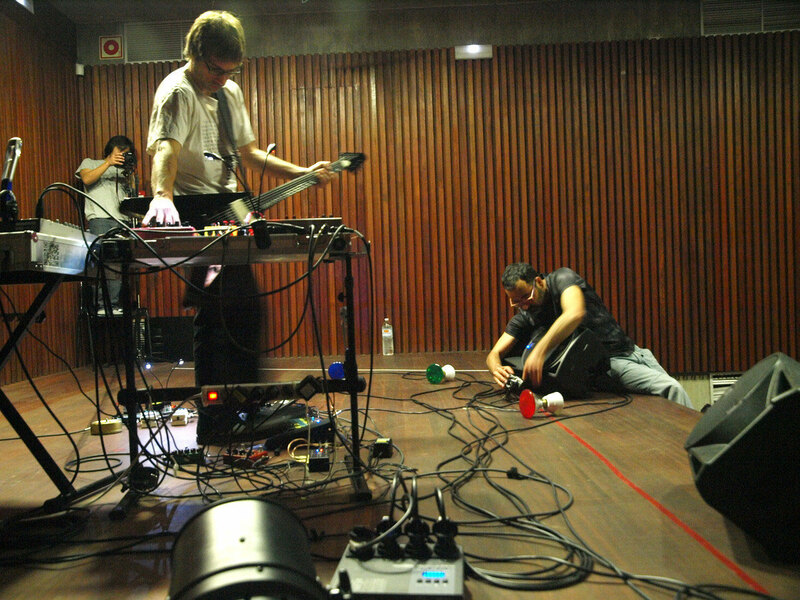 Rafael Pinillos; electric guitar and electronics. Miguel Jaubert, David Paredes, Simone Marin and Javier Pérez. You can see some videos of these sessions on this website very soon.